Light is not knowledge but the illumination that comes from above and liberates the being from obscurity and darkness. In its attraction it tries to imitate the stars. 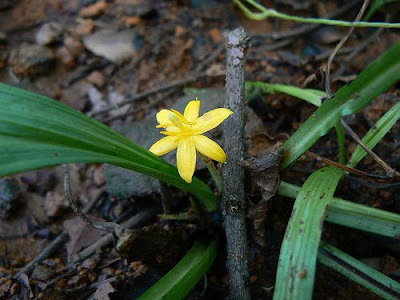 Small golden yellow star-shaped flower borne near the base of the plant on a short scape. A slender tuberous herb with long lanceolate delicately veined leaves.